We are so lucky to have the opportunity to work with the best and brightest thought leaders and experts in positive psychology, meditation and mindful leadership. Below are some of our coaches who have joined us on LeadUp retreats – without them, LeadUp would not be possible! Daniel Lerner is a highly sought after performance and executive coach, team facilitator and public speaker because, simply put, he makes individuals and working groups better at what they do. Working with both Fortune 500 and emerging companies, and individuals ranging from world-class entertainers to all-American athletes, CEOs to younger professionals, Lerner helps clients articulate razor-sharp goals, and then break through the barriers that keep them from optimal achievement. His work is anchored by an unswerving belief that in each of us lies the potential for greatness, and that the key to realizing that potential is leveraging strengths, passion, drive, and an enriched understanding of self and perspective. Daniel Lerner is currently an adjunct professor at New York University, teaching “The Science of Happiness,” and an assistant instructor at the University of Pennsylvania’s graduate program in Applied Positive Psychology. He has guest lectured at an array of higher education institutions, and served as a featured speaker at several private organizations. He is a consultant for Impact DTG a global leader in sustainable business transformation and people development. Kayleigh Pleas completed her master in applied positive psychology (the science of wellbeing) at the University of Pennsylvania. 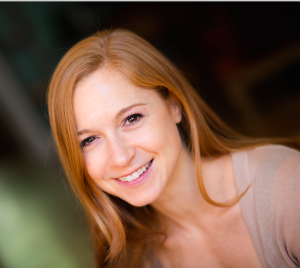 As a wellness & positive psychology coach in private practice since 2010, Kayleigh has helped hundreds of individuals build flourishing lives by employing scientifically proven methods from positive psychology, neuropsychology, nutritional science, and mind-body medicine. Her coaching, research, and teaching rest at the intersection of how the mind affects the body, the body affects the mind, and how their interaction can be leveraged for wellbeing. Kayleigh currently teaches yoga in New York City at Exhale Mind-Body Spa and Strala Yoga, where she guides students to inhabit their bodies from a place of awareness and ease. Kayleigh also serves as a meditation teacher at Mount Sinai Hospital, supporting patients, caregivers, and staff affected by cancer with mindfulness and compassion practices. Kayleigh is a sought-after speaker and workshop facilitator for corporations, business, and schools. Her expertise spans a variety of topics: mental resilience, meditation, nutrition, motivation, and happiness. From the peaks of the Himalayas to the classrooms of higher-education, Kayleigh is committed to understanding human flourishing and sharing what she learns with others! For more information, please visit her website: www.kayleighpleas.com. Jason Connell’s journey to becoming of one of the world’s foremost authorities on visionary leadership for young adults hasn’t been, to say the least, a straightforward path. But then again, destiny has its own compass – and sense of occasion. Since launching his career, Jason has consulted for senior government officials on multiple continents (including members of President Obama’s cabinet), Fortune 500 execs, hundreds of colleges and universities, and countless entrepreneurs. He hosts speaking engagements with organizations across the Americas and Europe, and as a child performed magic shows for clients such as Fortune 500’s and pro sports teams. Jason is currently the founder of Ignited Leadership where he develops live events and trainings to help millennial leaders change the world. When not creating new programs for Ignited Leadership, volunteering locally and abroad, or inspiring others to do the same, Jason is an in-demand international speaker who lives in Washington, DC. 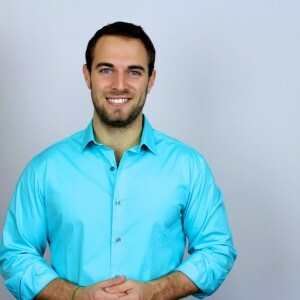 Cory Muscara is the founder and head teacher at the Long Island Center for Mindfulness, where he utilizes his extensive professional training in Mindfulness, Positive Psychology, and Integrative Health Coaching to facilitate a client’s creation of, and movement toward, their optimal vision of health and wellbeing. Cory has undergone professional training to integrate mindfulness within healthcare, schools, and businesses, through teacher training programs in Mindfulness-Based Stress Reduction (MBSR) at UMass Medical School with Jon Kabat-Zinn, Mindful Schools, Search Inside Yourself, and Breathworks Chronic Pain. 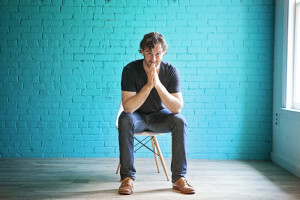 He has completed his Integrative Health Coach training at Duke Integrative Medicine, and holds a Masters degree in Applied Positive Psychology (MAPP) from the University of Pennsylvania, where he now serves as an Assistant Instructor. In 2012, Cory spent six months in silence practicing mindfulness meditation 14+ hours a day as a Buddhist Monk in Southeast Asia. The experience taught him how powerful mindfulness can be as a transformative practice for cultivating greater peace, clarity, wisdom, and wellbeing in one’s life, and became the inspiring force behind his mission to share this work with others. He currently serves as faculty at Columbia Teachers College, offering self-awareness training for over 150 Principals at the Summer Principals Academy masters program. He has been featured on News 12 Long Island discussing mindfulness and regularly appears on the Dr. Oz show as a guest expert in the topic of mindfulness meditation. Cory has lectured and taught mindfulness for NYU’s “Science of Happiness” course, MBA students at the Wharton Business School of University of Pennsylvania, Stony Brook University Hospital, and more. 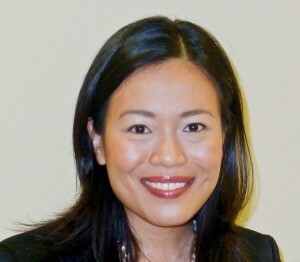 Due Quach (“Zway Kwok”) rose up from poverty and overcame post-traumatic stress disorder linked to childhood adversity to graduate from Harvard University and the Wharton MBA Program. Due and her family came to America as refugees. She grew up in a low-income area of Philadelphia and experienced toxic stress, poverty, prejudice, violence, and crime. Nevertheless, she graduated at the top of her high school and gained admission to Harvard University. As a first-generation college student, Due conquered numerous challenges (such as post-traumatic stress disorder) to graduate with honors and earn an MBA from the Wharton School of Business. After building a successful international business career in management consulting and private equity, she is now pursuing her dream to help people overcome adversity and realize their potential. Due developed Calm Clarity as a science-based approach to mindful leadership by synthesizing valuable life lessons with insights from neuroscience and contemplative wisdom. To gain a deeper understanding of the benefits of meditation, she studied various meditation traditions in India and became a certified yoga teacher. Elazar Aslan is the CEO of Caterfly Solutions, a company engaged with CEOs and other executives to help them achieve better results through greater personal responsibility and greater service to the community at large. Elazar combines his 20 years of Buddhist practice with his classical business training from the Wharton Graduate School to create a Buddhist inspired approach to more effective leadership. Elazar has brought his meditative practice and his leadership principles to Fortune 100 companies such as American Express, ADP, Chase, D&B, MasterCard, as well as small and mid-sized companies.